Do you want to know how to build a successful coaching business? You know, one where clients are begging to work with you? I’ve spent my career in corporate marketing and content strategy. And I’ve owned a thriving massage clinic for ten years. But when I started my life coaching business, I decided that NONE of the marketing truths I knew applied. I thought I could follow the advice I saw constantly and that it would work, and work fast. The advice was to go ALL IN with one social media strategy. Facebook or Instagram, either would work. But put all energy and focus there and watch the clients come knocking. Even though that is not how we grew the massage clinic to be one of the largest and most successful in our region, and even though I never used a one-channel strategy for my corporate clients, I jumped on the bandwagon with glee. No blogging! No emailing! No article writing! No off-line networking! No search engine optimization! I just had to create a group, run ads to a webinar, and that was all. Yep, that’s what the experts told me was the best and fastest way to build a successful coaching business. And I saw people having quick success doing it. If you do anything on Facebook or Instagram, then you are all too aware of what happened on Wednesday, March 13, 2019. No, western civilization did not crumble. 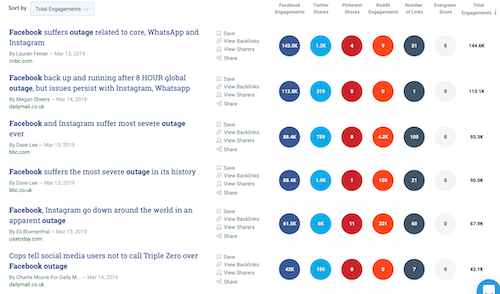 For four hours, Facebook (and Instagram) were down. The huge outage meant businesses couldn’t post in their groups, couldn’t do FB lives, couldn’t communication with clients. There was not a thing those businesses could do about it. They were at the mercy of something completely out of their control. My coach and holistic health friends were freaking out. And this is why that advice to go ALL IN with one channel is very, very bad advice. 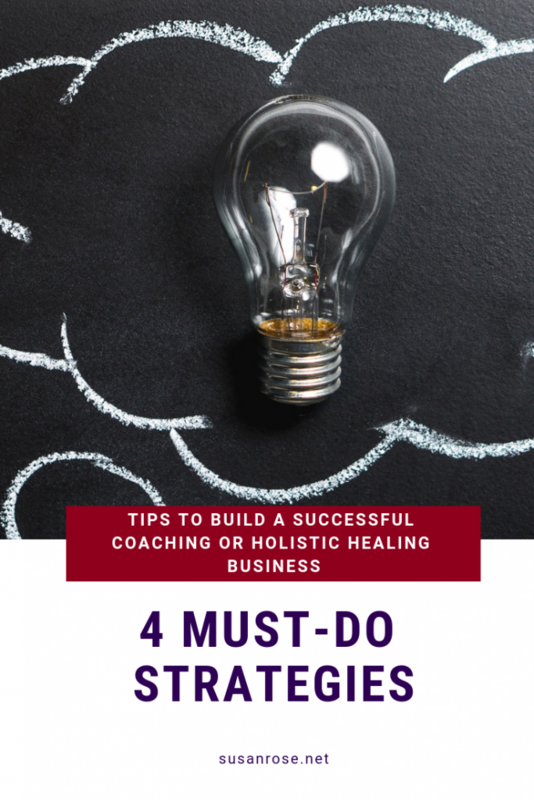 An “all eggs in one basket” approach isn’t a good strategy for anything, especially marketing a personal development coaching or holistic health business. I’ve watched marketing and advertising trends for years. Channels come in and out of fashion. People go to different places for answers to their questions. I spent a lot of time focused solely on Facebook (without great results) before I came to my senses and started using multiple channels for my coaching business. Thank God. If you want to build a successful coaching business that fails fast, then go ahead and focus on one, and only one, marketing channel. But if you want to build a sustainable business that has a strong foundation, read on. Being on more than one channel protects you against things like the Facebook outage that are out of your control. It’s also a good strategy because people are looking for answers in different places: they’re searching on Google (blog and YouTube), they’re getting on lists (email), they’re going to their favorite social media sites (FB, IG, Pinterest, LinkedIn, and others), they’re listening to podcasts and going to live workshops. No, you do not need to be EVERYWHERE and do EVERYTHING. That will make you crazy. Here are my top recommendations, based on years of marketing a successful small business and helping large businesses implement content strategies. 1. Make sure your website is SEO optimized. People search for answers on-line, so make sure they can find your content. That means doing keyword research to find what your ideal clients are looking for. The way I do that is to see what my people are discussing in groups, then doing research on those topics. The research will show what they’re actually searching on. My favorite free tool for quick SEO research is Keywords Everywhere. It saves hours of my time doing research. If you have a WordPress site (and I really hope you do), use an SEO plugin to optimize each page and post. I used the free version of Yoast for years, and recently started using the pro version. Both are great. Really. Email marketing is powerful and effective…when done right. I won’t go into all the reasons because I have other blogs on that: Email Marketing 101 and Is an Email Funnel Good for a Life or Health Coach. Take time to really learn how to use it to engage with your people. My list replies to my questions and asks great questions that help me help them. I love it. AND I know more people are actually seeing my message than on social media. I do believe a good email service provider matters. I use Active Campaign and love it. Make sure your provider gives you options for A/B testing and custom automations. 3. Pick at least two social media channels. People are looking for information in different places, and that includes social media. Which platforms are best for you depends on your business. My advice is don’t assume a platform is right. Look at your numbers. Look at how many people come get on your list from the different sources (Google analytics will tell you that). Don’t waste time on a platform that doesn’t produce leads. I never thought Pinterest would be the place I got leads, but I’m testing it out and it’s working! So now I’m putting effort into it. LinkedIn does nothing for me, so I do very little with it. I consider YouTube social media, although other content strategists may disagree with me. I think video is a great idea, and I like YouTube because you can then put it on your blog and in email. 4. Don’t forget off-line marketing. As an introvert and a writer, I’m very happy to sit at a computer all day. But the reality is, getting out and networking and/or speaking is a great way to build a successful business. You gain trust and can attract a client much faster in person than on-line. That’s just the reality. Getting out and meeting people helps refine your message and give you confidence to speak about your business. And it gets you out of the house! I do consider virtual networking to be off-line, even though it’s happening on-line. I’m in a virtual networking group that is fantastic (it’s call Keep It Local). Every week, I get to practice talking about my new programs. Since several of my ideal clients are in the group, I get to see how they respond and ask for their feedback. It is so worth the annual membership. If you’ve read this far, you are probably not loving my advice. It’s a lot of work to market in more than one channel. That is true. But if you want to grow a sustainable business, you have to. Those experts that are telling you to focus on one thing, and one thing only are not doing that themselves. The coach who encouraged me to go all in with Facebook in fact has an email marketing program, YouTube channel, and does a ton of speaking… and those are just the things I know about. Nobody who is really successful is marketing in only one place. So, do as they do, not as they say they do. That is how to grow a successful coaching business. Download the Free Content Creation Cheat Sheet!